1. Executive Director - Bachelor of Mining Engineering from a University/recognized Institution and possessing First Class Mines Manager Certificate of Competency (Unrestricted). Adequate computer knowledge and exposure to latest mining software is essential. Minimum 23 years post qualification working experience in the production line of large mechanized underground metal mines/mechanized opencast mines having modern mining equipment from leading manufacturers. The candidate should have proven experience of having led a multidisciplinary team of professionals and consistently achieved rated targets. Knowledge of mining rules/regulations and dealing with regulatory authorities is essential. 2. General Manager (Mines) - Bachelor of Mining Engineering from a University/recognized Institution and possessing First Class Mines Manager Certificate of Competency (Unrestricted). Adequate computer knowledge and exposure to latest mining software is essential. Minimum 20 years post qualification working experience in the production line of large mechanized underground metal mines/mechanized opencast mines having modern mining equipment from leading manufacturers. The candidate should have proven experience of having led a multidisciplinary team of professionals and consistently achieved rated targets. Knowledge of mining rules/regulations and dealing with regulatory authorities is essential. 5. Chief Supdt. (Mill)/ Superintendent(Mill)/ Addl. Supdt(Mill) - Degree in Chemical Engg./ Metallurgical Engg./ M.Sc. in Mineral Processing or equivalent. Minimum 15/12/09 years post qualification proven experience in Hydro Metallurgical/Mineral Processing plant. Knowledge of Pollution Control Board Regulations and dealing with regulatory authorities. 6. Manager (Personnel)/ Addl. Manager (Personnel) - Degree in any discipline including that in Engineering and two years full time PG Degree/ Diploma recognized by statutory authority/Central/State Govt. in Personnel Management, Labour/ Social Welfare, IR, Social work, Social behavioral science, Training & Development OR MBA with specialization in Personnel Management. OR MBA/PGPM with specialization in HRD/ Training & Development. Minimum 12/09 years post qualification experience in any PSU/large organization dealings in matter relating to Labour, Industrial Relations & General Administration. 7. Manager (Accounts)/ Addl. Manager (Accounts) - CA or ICWA or MBA Finance. Minimum 12/09 years post qualification experience in Accounts Department of a PSU/large concerns preferably in mining & processing industry. Having exposure in areas like Works Accounting, Project Accounting, Treasury Management, Taxation and finalization of Accounts. Should have due exposure in dealing with Statutory Authorities /Government Departments and should have worked in computerized environment with knowledge of ORACLE. 8. Superintendent (Geology)/Addl. Supdt (Geology) - PG Degree in Geology/Applied Geology from a recognized University/Institution. Minimum 12/09 years post qualification working experience in interpretation of surface exploration data, reserve estimation, ore body modeling etc. Preference will be given to the candidates having experience in underground mining and computerized mine planning. 9. Addl. Supdt. (Env.Engg)/ Dy. Supdt.(Env.Engg.) - Degree in Environmental Engg. OR Degree in any other Branch of Engg. 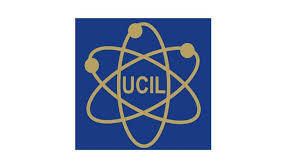 OR Ph.D in Organic/ Inorganic Chemistry backed with a PG Diploma OR full time Certificate Course in Environmental Engg. OR Environmental Sciences. Minimum 09/06 years post qualification experience in Environment Management in a large and reputed organization. Candidate should essentially have the knowledge of all applicable Indian Environmental Legislation, EIA and Environment Audit Process, Waste Disposal Management etc. Experience in mining and processing industry will be preferred.